When it comes to coal classification, there are various ways in which coal is grouped. Most classifications are based on the results of chemical analyses and physical tests, but some are more empirical in nature. Coal classifications are important because they provide valuable information to commercial users. 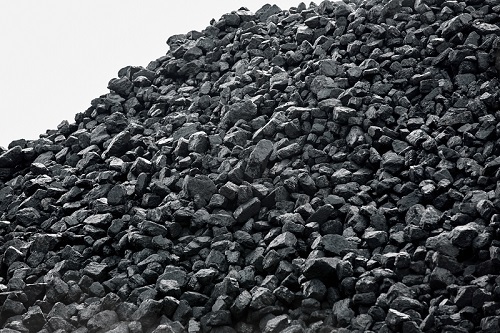 Our system at RPM Solutions allows us to capture clean coal that would otherwise be discarded as waste in a landfill or sold to a third party generating unforeseen revenue, reducing cost tremendously along with saving landfill space. There are many compositional differences between the coals mined from different coal deposits throughout the country. The different types of coal are most usually classified by rank, which depends upon the degree of transformation from the original source and is therefore a measure of a coal’s age. The American Society for Testing and Materials (ASTM) categorizes coal according to the degree it has altered from lignite to anthracite. Coal principally consists of vitrinite. Coal is classified based on certain gradational properties that are associated with the amount of change that the coal has undergone while still beneath the earth. The categorization shows select chemical and physical properties that assist in understanding how the coal will react during mining, preparation and eventual use. General: Coal is an easily burnable rock that is made of carbonaceous material. With time, pressure and heat, the early stages of coal change from a peat-like material into lignite, which is accepted to be coal in an immature form. Lignite: Also termed brown or rosebud coal. It is considered the lowest rank of coal. As lignite ages, it becomes darker in color and harder in texture. The new product is termed sub-bituminous coal. Bituminous coal: This coal is high in carbonaceous matter and is divisible into high-volatile, medium and low-volatile groups on the basis of increasing heat content. Anthracite: Represents the final maturation stage of coal and is readily identified by its shiny surface. It is a hard product that is defined by AMTS as containing more than 86 percent fixed carbon and less than 14 percent volatile matter. Anthracite, which is also termed hard coal, burns with a smokeless, blue flame that gives off intense heat. Heating value: The energy released as heat when coal undergoes complete combustion with oxygen. Volatile matter: The portion of a coal sample which, when heated in the absence of air at prescribed conditions, is released as gases. Moisture: The water inherently contained within the coal and existing in the coal in its natural state of deposition. Ash: The inorganic residue remaining after a coal sample is completely burned and is largely composed of compounds of silica, aluminum, iron, calcium, magnesium and others. Fixed carbon: The remaining organic matter after the volatile matter and moisture have been released. It is typically calculated by subtracting from 100 the percentages of volatile matter, moisture and ash. The composition of coal is usually reported in terms of its proximate analysis and its ultimate analysis. The proximate analysis consists of four items: fixed carbon, volatile matter, moisture and ash, all on a weight percentage basis. The ultimate analysis provides an element-by-element composition of the coal’s organic fraction: carbon, hydrogen, oxygen and sulfur, all on a weight percentage basis. Coal may be classified in rock types based on the presence of petrological components known as macerals. Based on maceral content and its appearance in a hand specimen, coal is classified into four principal types: clarain, durain, fusain and vitrain. Coal may also be classified in grades using subjective terms (i.e., “low sulfur coal,” “high-ash coal”) with references to their impurities for commercial purposes.